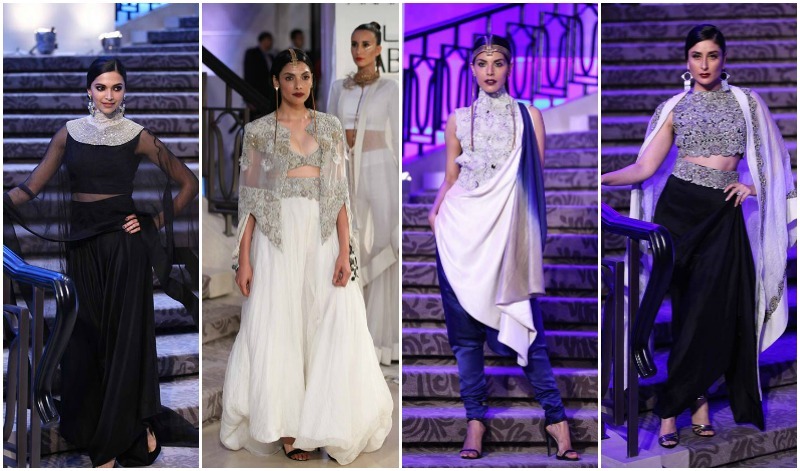 Lakme Fashion Week Summer Resort 2015 was at its full swing. Some of the collections were really stunning and I can’t wait to add a few pieces to my wardrobe. I thought I’d compile a post for the ones that really stood out in the Bridal department. 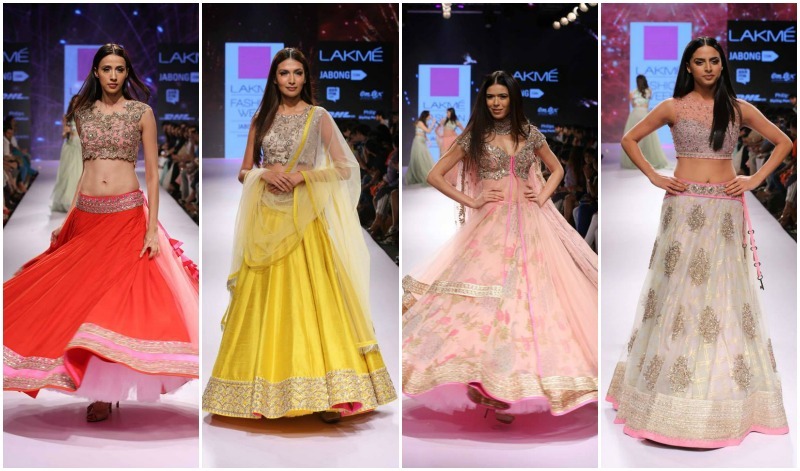 Anushree Reddy : The sheer gorgeousness of colors and the feminine silhouettes are bridal dreams come true. I see these as perfect for your wedding reception or sangeet. If anyone close in my family is getting married, I am so going to take a look at her pieces. Lovedd! Anamika Khanna : Very signature Anamika Khanna with gorgeous capes and embroideries.A fool proof can-never-go-wrong with it kind of collection. The best thing her separates can be styled again and again with various other pieces from your collection. Manish Malhotra : Always a good pick. Loved the royal blue! Suneet Varma : I absolutely loved the variety of colours, style and designs in his collection. Requires a pure genius to bring out so many variations in just one show! This entry was posted in Styles and tagged Anamika khanna, Anushree Reddy, indian bridal designer, Lakme fashion week, lakme fashion week bridal designers, Lakme fashion week summer resort 2015, manish malhotra, Sunnet Varma. Bookmark the permalink. 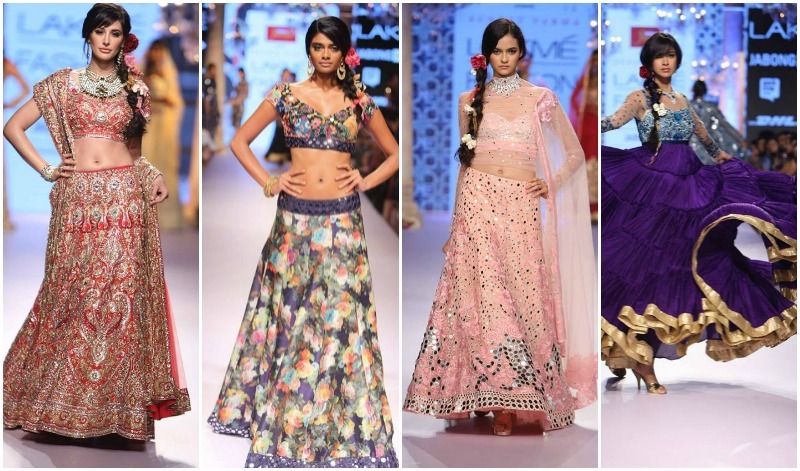 All of Anushree Reddy’s lehenga’s are to die for. Her collection has both bright as well pastel colors. Looking forward to see you in one of them…:-). Anushree Reddy’s collection is beautiful … but i loved Anuj Modi’s bridal collection too … BEst of all was Harshita chatterjee… awesome it was. Manish Malhotra wins hands down. love the blue and white combination. love the style, love the simplicity.. Anushree Reddy and Suneet Verma old style. seen those styles before. Anamika Khanna too complicated. and btw guys, I shopped at Vero Moda for the first time yesterday and absolutely loved it. I loved their sizes and most importantly I fit into a ‘Small’ for one of their tops. Assume it was the styling of the neck BUT it was a ‘S’ nevertheless. thrilled to bits.. It was Anushree Reddy for bridal collection. 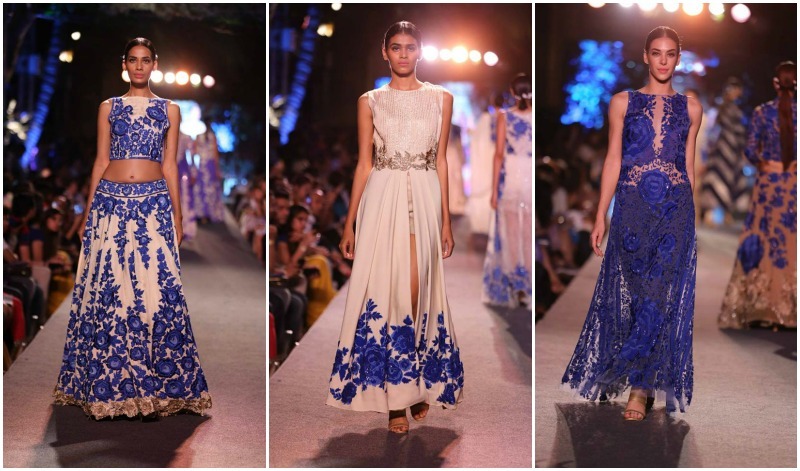 I just loved the collections of Deepika Govind, Krishna Mehta, Anavila.. So much interesting. For me, I personally love the fashion styles which can be brought down to streets and dressed up to red carpet as well. I am so drooling over Anaminka khanna’s finale outfit on kareena kapoor! That like mind blowing fashion! !